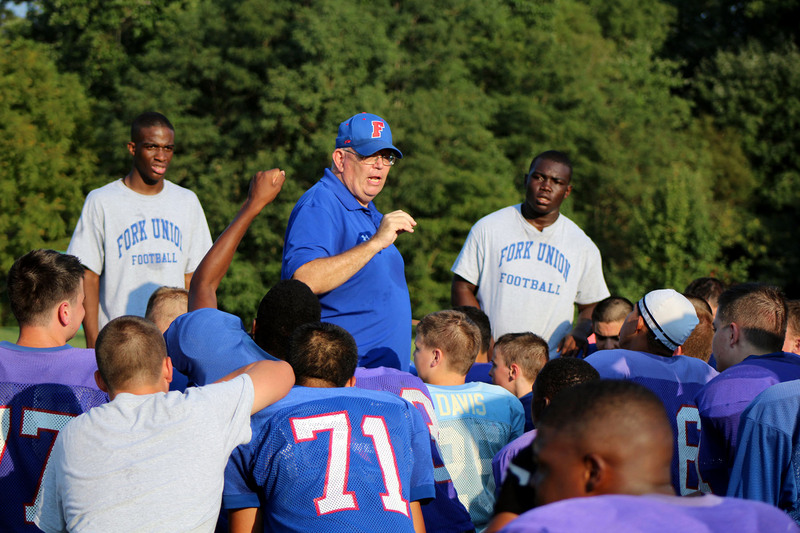 Fork Union Military Academy today announced the selection of longtime faculty member and coach, Mike Hooper, as the new head coach of the prep football team. 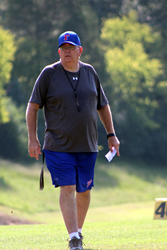 Coach Hooper has served for many years as an assistant coach with the prep team, as well as assistant and, most recently, the head coach for the school's junior prep football team, which posted a winning record of 5-3 this past season. Coach Mike Hooper selected to be head coach of the prep football program at Fork Union Military Academy. Recently, a current Division I football player was asked what coach had made the most impact on him here and there was no hesitation in his reply: "Coach Hooper, because I always knew he cared about me as a person and not just as a player." Born in Maryland but raised in the Tidewater area of North Carolina and Virginia, Hooper graduated from Isle of Wight Academy in 1973 and attended Brigham Young University. After serving a church mission to Guatemala from 1976 to 1978, Hooper transferred to Christopher Newport College (now Christopher Newport University) where he received his B.A. in Spanish in 1982. He completed time toward a master's degree in Statistics at Brigham Young University before accepting his first teaching job, teaching mathematics and Spanish at Albemarle Academy in North Carolina during the 1984-85 academic year. He intended to finish his master's degree at Brigham Young the following year but teaching and coaching had gotten in his blood, and he soon returned to Isle of Wight Academy to teach Spanish and coach three sports, including the baseball team that went 15-0 and won the 1986 Virginia Academies Athletic Conference championship. Coach Hooper has been on staff at Fork Union Military Academy since 1988 and has taught Spanish and coached football, baseball, and other sports as needed at the Academy. Coach Hooper describes himself as an avid reader who enjoys spending time with his grandchildren. The players whom he has coached know him to be a leader and a mentor who understands the games he coaches, but who also understands the hearts and minds of his players. Recently, a current Division I football player returned to Fork Union to visit with the staff and faculty. When asked what coach had made the most impact on him during his time here, there was no hesitation in his reply: "Coach Hooper, because I always knew he cared about me as a person and not just as a player." 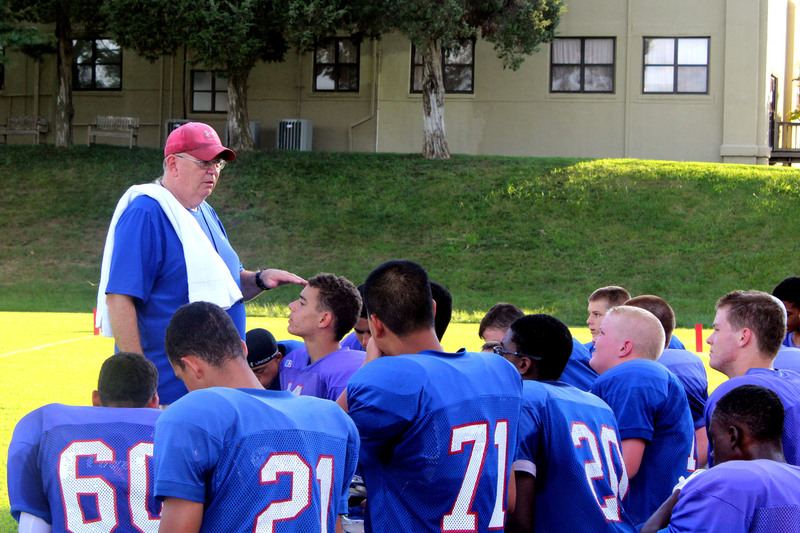 "We are pleased to have Coach Hooper rise to take the reins of our prep football team at this time, because he is not only a proven winner," said Academy President RADM J. Scott Burhoe, "but because he knows how to motivate cadets to excel and knows how to mentor them by his own example and conduct." Coach Mike Hooper selected to be head coach of the prep football program at Fork Union Military Academy.Coach Mike Hooper selected to be head coach of the prep football program at Fork Union Military Academy. Coach Mike Hooper selected to be head coach of the prep football program at Fork Union Military Academy.Coach Mike Hooper selected to be head coach of the prep football program at Fork Union Military Academy.